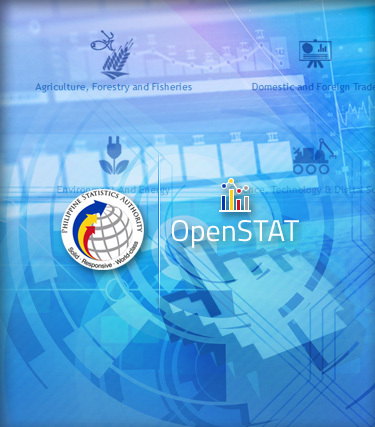 The Philippine Statistics Authority (PSA) is the primary statistical arm of the government. It is responsible in the conduct and content of all national censuses and surveys, gathering of sectoral statistics, consolidation of selected administrative recording systems, and compilation of national accounts. OpenSTAT is an open data platform powered by PC-Axis a user-friendly application with versatile possibilities for presenting statistical tables with visualization features. This system allows the PSA to share data under an open data license where data can be freely used, re-used and redistributed by anyone without any restrictions other than proper source attribution. PSA invites all agencies to join the open data initiative to create a conducive environment for an open and transparent governance.